Attention youth athletes and parents: Sign-ups for our Summer performance training programs are OPEN! 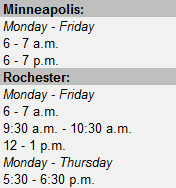 Come train with our experts and get an edge on the competition. Learn more. Stay on top of your game this post-season. Come train with our experts to improve your athleticism, focus on power and speed development, and learn how to use nutrition to fuel your performance. 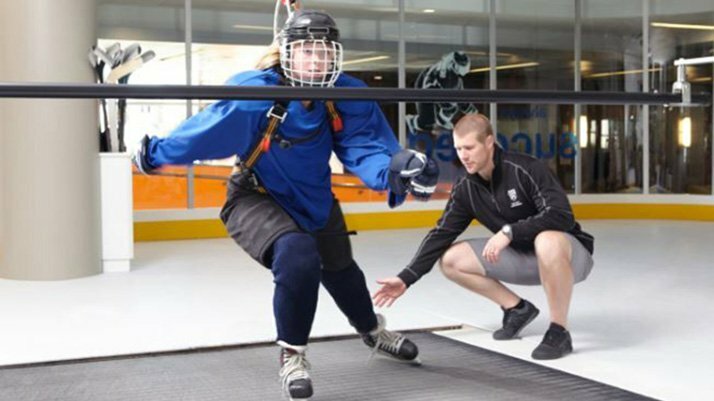 This Spring Hockey program runs March 11 – May 31st, and offers both hockey skills and EXOS performance training options. Learn more. Introducing the Mayo Clinic Comeback Player of the Year award. 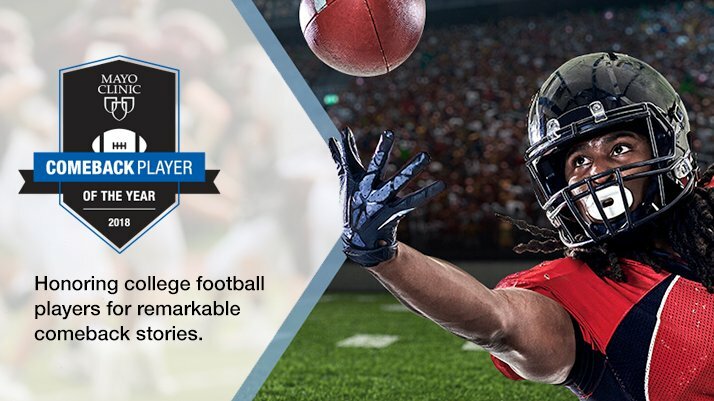 Presented by CoSIDA, The Associated Press and the Fiesta Bowl Organization, this award honors college football student athletes who have overcome adversity to return to the field of play. Learn more. Fuel your desired everyday performance lifestyle through our dynamic, small group training programs. Whether it is to increase energy levels, run your 1st 5K, perform better at tennis, or just feel stronger, our team is here to help you meet your goals. Learn more. 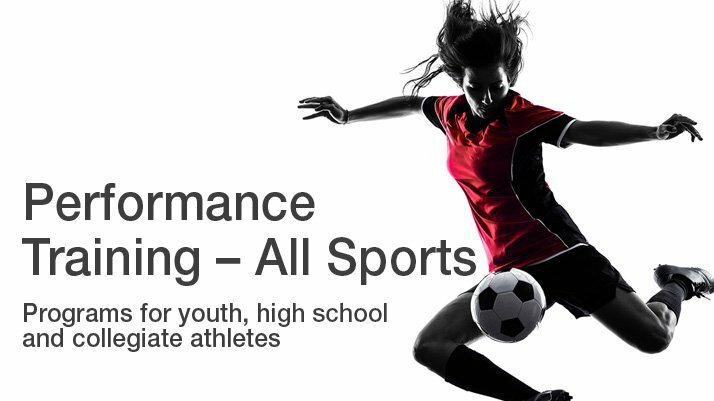 Looking for ways to take your performance to the next level? 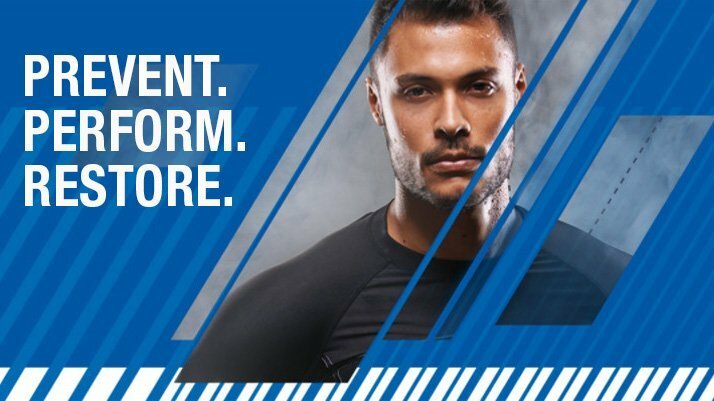 Click here for key tips on injury prevention, warm up techniques, nutrition, and recovery. Our team of specialists and therapists work together to focus on all facets of the body and ensure your individual needs are met. Our sports and injury prevention programs leverage medical research to improve every aspect of your performance. Learn more about our team of doctors, specialists, physical therapists, athletic trainers and strength coaches. We collaborate with athletic teams and organizations to deliver sports medical care and performance training programs to athletes of all levels. 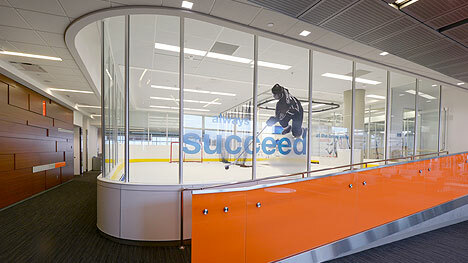 Learn more about our newly built, state-of-the art sports medicine facility. Check out the latest news and information from the world of sports medicine. A global leader in sports medicine, consistently rated a top hospital by U.S. News & World Report for orthopedics and physical medicine and rehabilitation.